Cheese! Does anyone in the USA not love it? I recently read that Americans consume most of their cheese on pizza. Yet a soufflé is a more effective and delicious cheese vehicle, delivering straight-on cheesey flavor with no distracting dough or veggies. 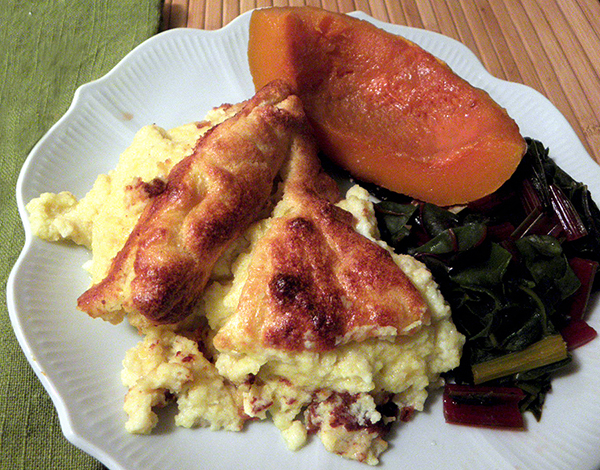 Eggs lend a velvety texture to the dish, while adding protein to the mix. And despite looking complicated, soufflés are quite straightforward to make if you remember three things: Be patient making the roux; keep stirring and use low heat. 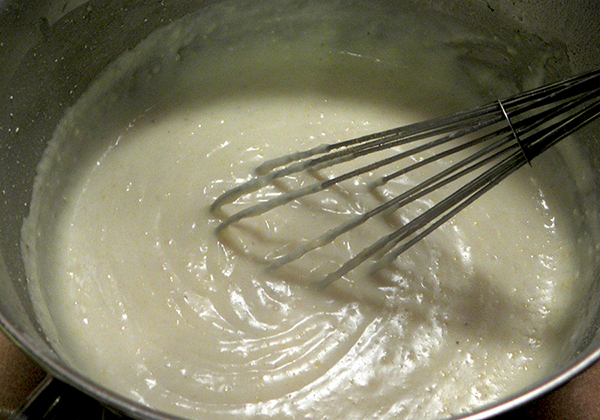 Cool the roux before adding the egg yolks to it. And beat the egg whites thoroughly before folding them in. Voila! Cheese soufflé! 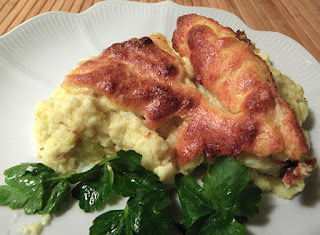 Adapted from an upstate New York monastery offering, this recipe is officially called Rocamadour Cheese puff, after a scenic mountainside commune in southwestern France. It features Swiss Gruyere and sharp cheddar, a delightful combination that works well with any sort of cooked greens on the side. 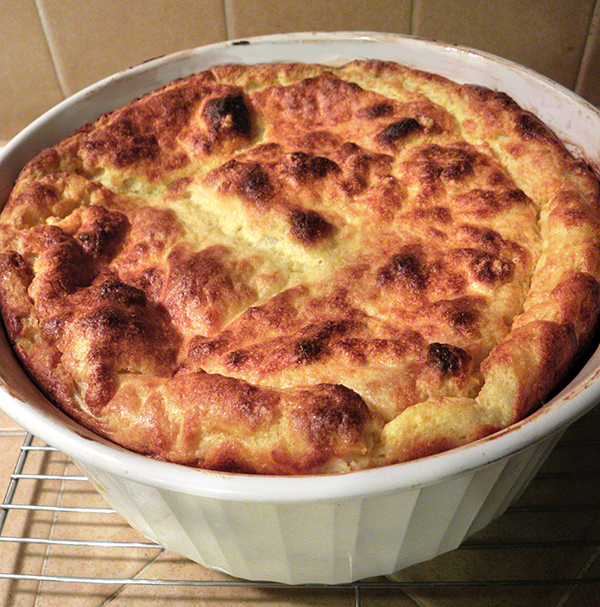 A soufflé dinner is especially satisfying in cold winter-to-spring weather. Soufflé also makes an elegant luncheon at any time of year, served with a classic green salad following a small bowl of creamy soup. 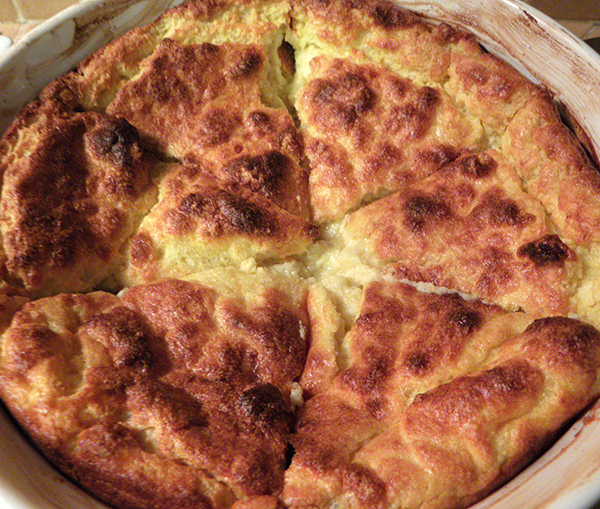 Preheat oven to 400 degrees F. Generously butter a 2.5 liter soufflé or casserole dish. Set aside. Pour milk into large saucepan. Add salt and mustard or pepper. Heat over medium low. While heating, slowly whisk in wholewheat flour, whisking steadily. 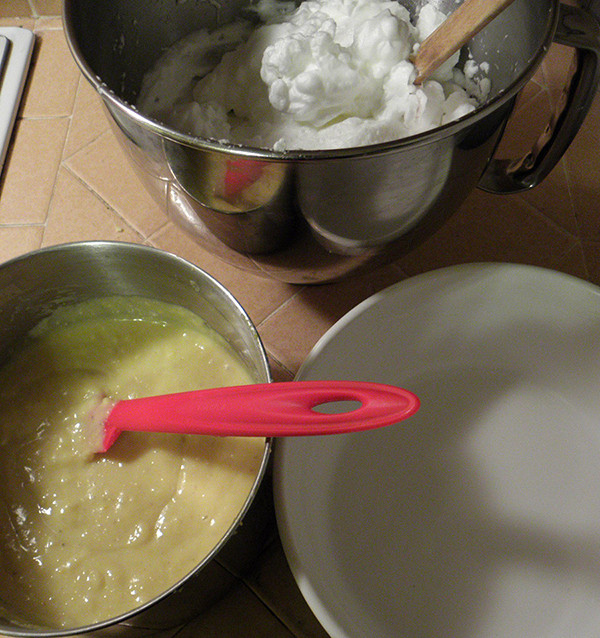 Then slowly whisk in cornmeal, whisking steadily. Continue cooking and whisking till mixture achieves a thick, smooth consistency. 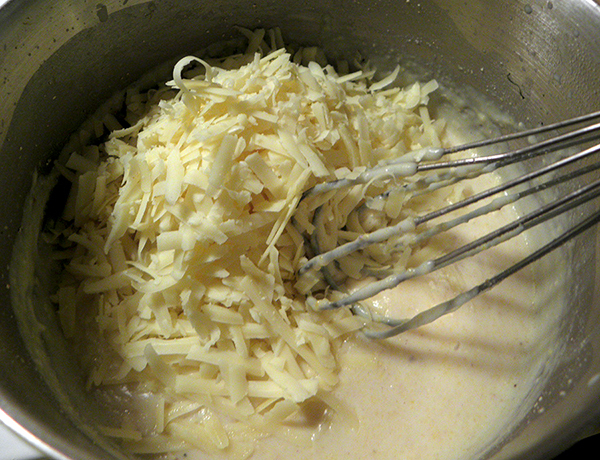 Then add the grated Cheddar cheese, and mix thoroughly. Remove from heat and set aside to cool. 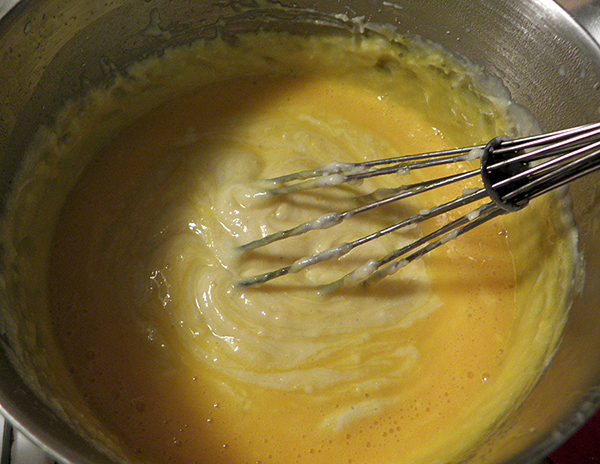 When mixture has cooled, beat the egg yolks. Stir into the cooled milk mixture. 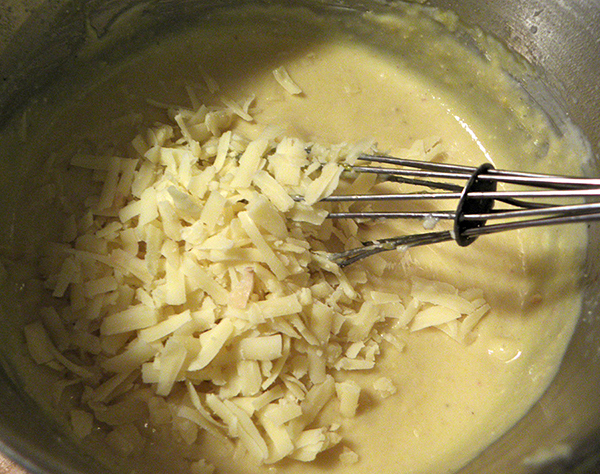 Stir in grated Gruyere cheese, and mix until thoroughly blended. Pour mixture into the buttered soufflé dish. Place soufflé dish in oven. Immediately lower oven temperature to 350 degrees F. Bake for about 25 – 35 minutes, until top turns golden brown. Sixth: Bake, Serve, and Enjoy!